Purchasing a motorhome is a major investment. When you plan to turn that motorhome into your new residence, carefully evaluating the caravan before you buy becomes even more important. After all, this motorhome is your new home, so your purchase should be as thoughtful as the purchase of a traditional single-family home. 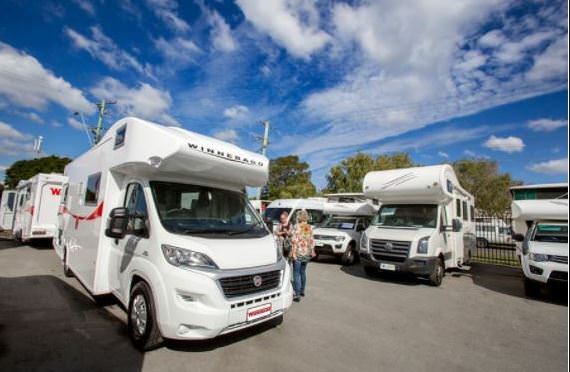 You’ll want to look at different types of motorhomes and evaluate features while, of course, considering overall cost and your budget. Caravan sales won’t happen on a whim. Instead, the purchase of your new motorhome should take time so that you can assess your needs and compare those needs to different motorhome styles to discover the right caravan for you to call home. Your first step in purchasing a motorhome that’s right for your needs is considering its purpose. Since you know you plan to live in your motorhome, rather than use it for occasional travel, you have a clear purpose in mind. However, think more deeply into how you will use the motorhome. Specifically, where do you plan to live? If you’ll be traveling across the country while living in your motorhome, you want a motorhome that’s capable of withstanding a variety of weather conditions. How many people will be living in the motorhome with you? Size is an important consideration, especially if you’ll be sharing your new home on wheels with a spouse or another family member. It’s easy to get wrapped up in the features of a shiny new motorhome. Don’t overlook a basic aspect of motorhome living: driving the motorhome. Test drive every model you’re considering. If you’re purchasing the motorhome with a spouse or family member, make sure everyone is comfortable driving it, even if you’re going to be the primary driver. When you’re test driving, consider several factors, including visibility, comfort, steering, and maneuverability. Envision how well each motorhome can handle narrow roadways, which you might encounter on your first road trip in your new home. If driving the motorhome doesn’t feel right, keep looking. Your motorhome isn’t just a form of transportation. It’s your bedroom, your kitchen, and your bathroom. As a result, you also want to evaluate possible motorhomes from the perspective of a homebuyer. First, consider the sleeping quarters in your motorhome. Look at the number and sizes of the bed. Don’t hesitate to try the bed out — after all, you want to ensure you invest in a comfortable spot to sleep every night. Next, look at the bathroom. Assess its functionality. How well can you move around in it? How much space does it offer for storing everyday essentials like toiletries? Next, check out the kitchen, focusing on how you plan to use it. Consider what appliances are included. Look for storage space for nonperishable foods. Where will you store your dinnerware and flatware? When you assess each of these areas, look at them from the perspective of the motorhome owner. Consider the overall design of the motorhome and envision yourself living in it to determine whether it’s a good fit for your needs. When you move into a motorhome full time, chances are you’re downsizing. Perhaps you’re ready to shed yourself of those possessions that fill your traditional home. You probably have plenty of items, from decorative accessories and artwork to sprawling shoe collections and years of family mementos, that you know aren’t going to move with you into your motorhome. However, other items, including clothes, electronics, and toiletries do have to go with you. You might even have a hobby, such as biking, that you love, which means you will need somewhere to store your bikes. When you’re exploring caravan sales to find the right home for you, consider storage space with your possessions in mind. You don’t want to live in a cluttered motorhome or, worse yet, run out of space for important belongings. As a result, choose a caravan with the right storage space for your needs. Another factor to consider when shopping for a motorhome is where you will live. While your caravan provides the comforts of home, you still need somewhere to park it. Where you want to live in your new motorhome may impact the type of caravan you buy. For instance, you might opt to rent a campsite on a long-term basis, purchase a deeded RV lot, or purchase and develop land for your RV. Think about these options and choose an RV that is sized appropriately for your home base. Life in a motorhome might be an adjustment, but it will certainly be exciting. When you choose to live life on the road, you’ll see the country and the world like you’ve never seen before. You want your motorhome to be well equipped with the features you need to feel comfortable. As a result, you should explore caravan sales and evaluate different sizes and models of RVs before you buy. A thorough analysis will result in a smart choice that will feel like home no matter where you are.